Both sexes either long or short winged. Body and legs blackish brown; antennal segment III variably yellow usually with apex dark;major setae and fore wing pale. Head longer than wide, cheeks parallel, eyes relatively small; postocular setae longer than dorsal length of eye, postocellar setae considerably shorter; maxillary stylets broad, retracted to eyes and close together medially in head. Antennae 8-segmented; segment III with 2 sensoria, IV with 3 sensoria; segment VIII slender and narrowed to base. Pronotum with five pairs of softly pointed major setae; epimeral sutures complete; basantra small, ferna transverse, mesopresternum slender medially. Fore tarsi with no tooth. Metanotum medially with weak sculpture. Fore wings parallel sided, with about 20 duplicated cilia. Pelta broad; tergites each with only one pair of sigmoid wing-retaining setae; tergite IX setae finely acute, almost as long as tube. 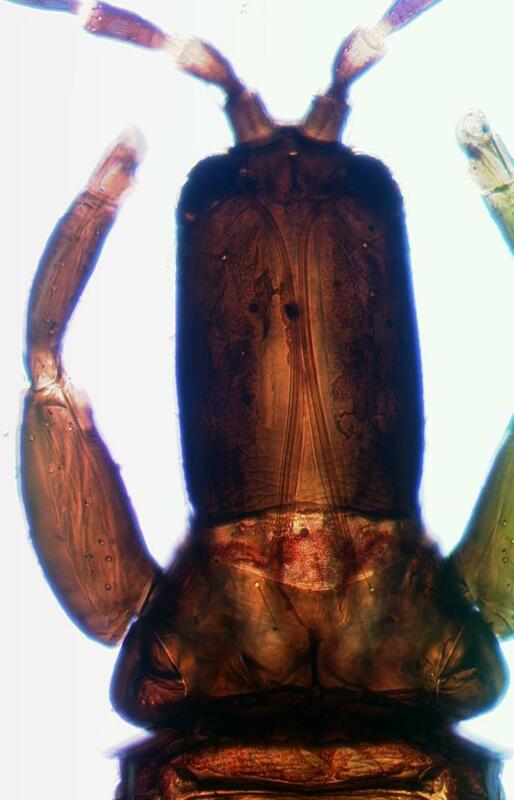 Male with fore tarsal tooth small or large. 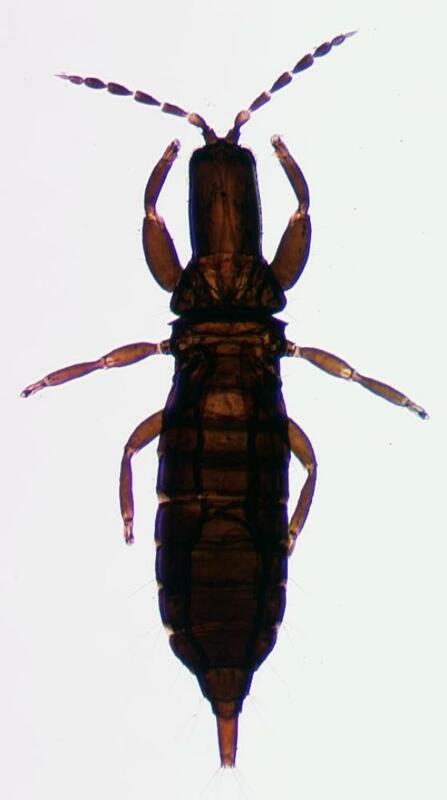 Although 12 species are listed in Cryptothrips six of the older names involved cannot at present be applied to any known species. Of the other six species, three are from North America, one from Europe, and one each from Australia and New Zealand. The three species recorded from California are similar to each other in general appearance, and currently there is no reliable distinction between them, neither structural nor biological. 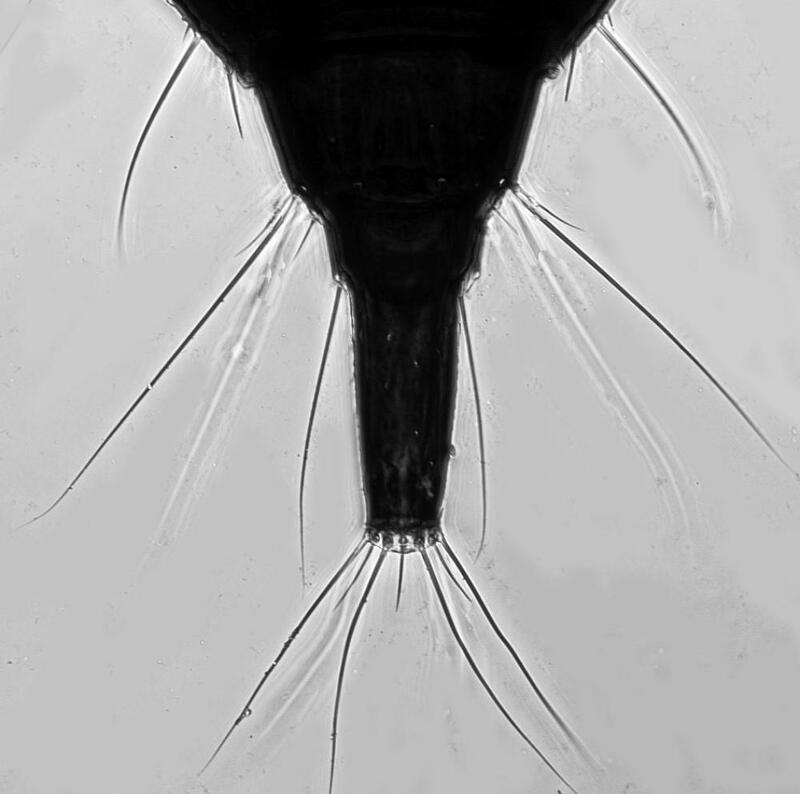 However, Stannard (1968) described C. carbonarius as having the postocellar setae as long as the third antennal segment, and antennal segment III dark with just the pedicel variably yellowish; moreover, the head is possibly longer than in the other two species recorded from California. Despite these differences, there remains a possibility that C. carbonarius, together with C. rectangularis and C. sordidatus, all represent the same species as the northern European C. nigripes (Reuter).